The cause behind the fire is yet to be ascertained. 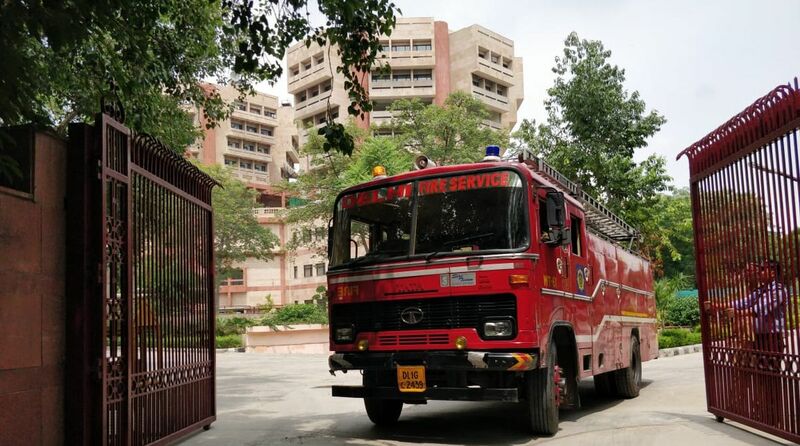 A fire broke out in an AC plant of Doordarshan Bhawan at Mandi House in New Delhi, a Delhi Fire Service official said. The fire department received a call about the fire at 12:50 pm and five fire tenders were rushed to the spot. The fire was controlled within 10 minutes, said the official. No casualties or injury has been reported yet. The cause behind the fire is yet to be ascertained. The AC plant is situated on the ground floor of the Doordarshan Bhawan.